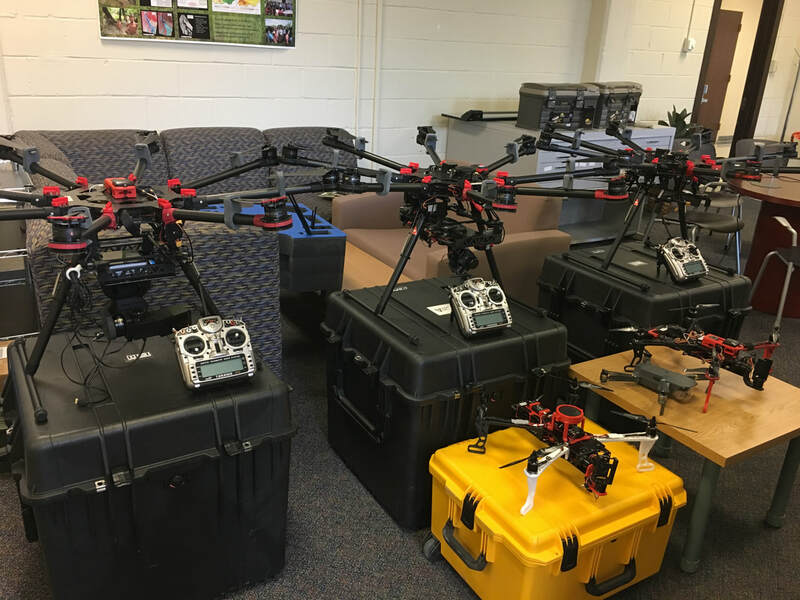 ​​Our lab is equipped with a number a fleet of unmanned aerial systems (UAS) and a number of remote sensing sensors including hyperspectral, thermal and multispectral cameras, a hand-held spectroradiometer, and airborne data calibration instrument. 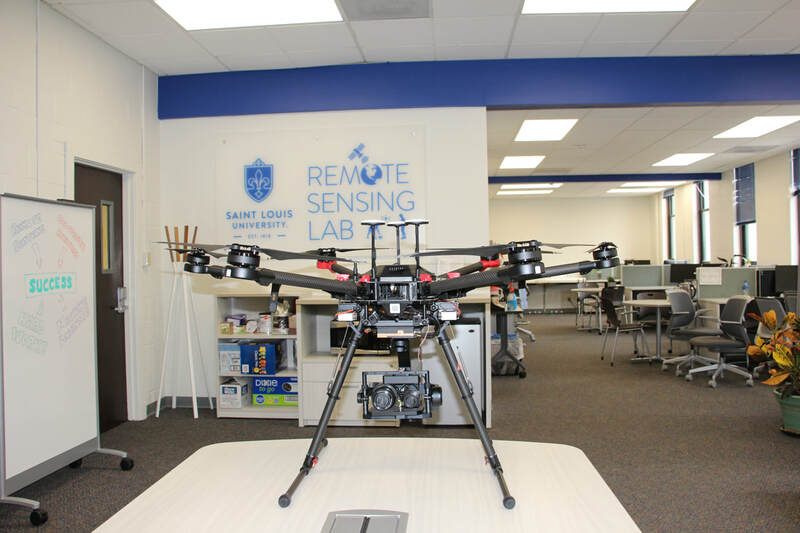 Remote Sensing Lab owns three Matrice 600 Pro UAV systems with different sensor combinations. (1) Hyper: integrated with the Nano-Hyperspec® VNIR (400-1000nm) sensor and FLIR Vue Pro R thermal camera and APX-15 GPS/IMU. 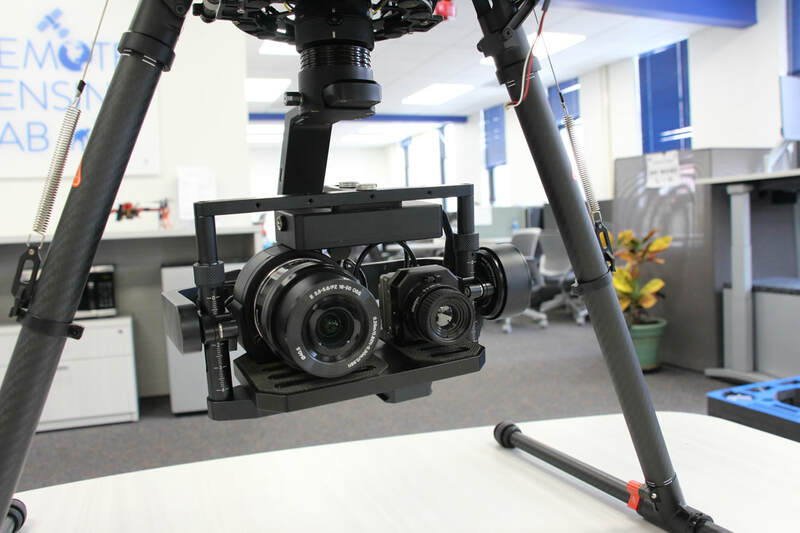 (2) LiDAR: integrated with Velodyne HDL-32 LiDAR and Sony A7R II 42 MP full frame visual camera. 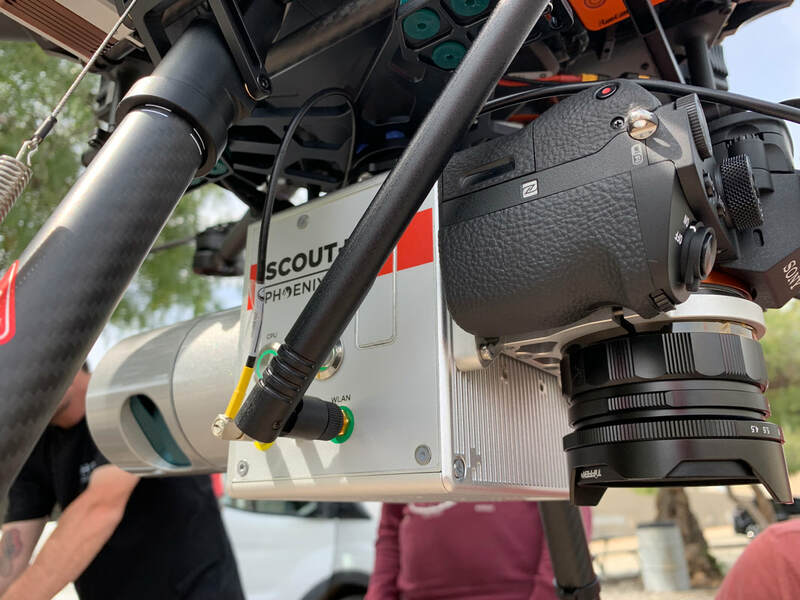 (3) Thermal: ICI 8640 P-Series thermal camera and Sony R10C 20 MP full frame visual camera was integrated to Matrice 600 Pro with Gremsy T3 gimbal and custom built mounting plate​. Additionally, Mica Sense RedEdge-M camera is mounted to this bird with custom build, 3D printed mount.